Honda Motor Co. expects to recall over one million more vehicles with potentially defective airbag inflators, according to a Reuters report. “We are conducting investigations quickly and if we decide that there are vehicles that should be called back, we will swiftly file for a recall,” spokeswoman Akemi Ando said. The list of Honda models involved was not immediately available. This follows a second automobile recall issued by Toyota this week due to the same problem in airbag inflators manufactured by Takata Corp. 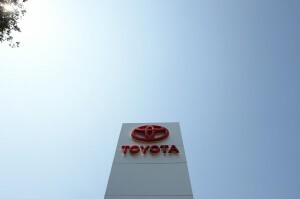 The recall involves about 20 Toyota models, including some Corolla compacts and Tundra pickups made in 2003-2004 and some 2002-2004 Lexus SC 430 coupes made in the U.S., the Associated Press reports, adding that the models being recalled in Japan were made in 2000-2003. In 2013, Toyota, Honda and Nissan recalled nearly 3.4 million vehicles with defective airbag inflators that could explode during an accident, with a potential risk of shrapnel blasting out of the front passenger airbags.